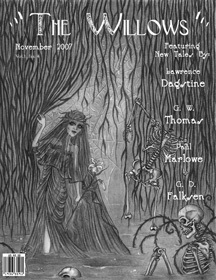 I’m pleased to announce that the October 2008 Issue of THE WILLOWS MAGAZINE is now available. A very delightful Halloween print edition indeed, filled with a plethora of steampunk and Neo/Post-Victorian period works of horror and other macabre tales. Published bimonthly, this is my fourth run as Feature Author with the magazine, and the fiction just gets hotter with each new issue. 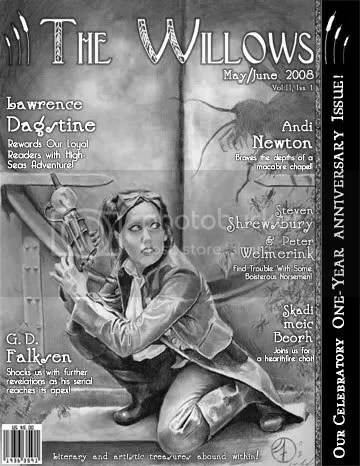 They’ve been mentioned in The New York Times and the San Francisco Chronicle, so why not join the steampunk movement and read… “The Willows”…! Featuring Fiction by: Sarah Monette, G.D. Falksen, Lawrence Dagstine, Eric S. Brown, Robey Jenkins, and Michelle Pribbernow. With non-fiction & reviews by Reyna Sparby and Skadi meic Beorh. Edited by Ben Thomas. Only $5.00 per fiction-filled issue; $25.00 annually for SIX ISSUES! I’ve just been commissioned by Whispering Spirits’ editor, Diana Cacy Hawkins, for a 5th short story run, and this time for a special-themed Halloween issue. Whispering Spirits is published semi-annually, and its content is based around ghost stories, the supernatural, and the occult. It’ll be available as a free PDF. Previous issues have featured such names as Angeline Hawkes, Alexis Child, G.W. Thomas, Kristine Ong Muslim, and Lanaia Lee. I come with yet another brand new tale (going for fourth run as a Feature Author), this one spooky and rather historical — actually, the last few tales I’ve written have been somewhat either a) pre-World War or Neo-Victorian meets Post-Victorian, otherwise b) paranormal and steampunkish in storyline/plot architecture. Still, stay tuned. 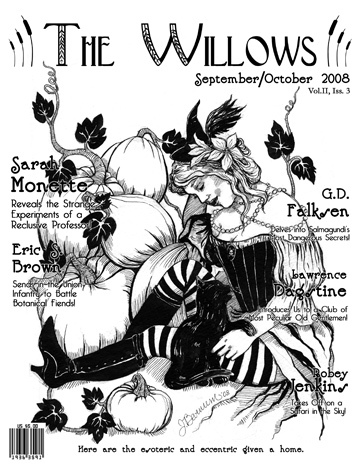 I’ll be in the October 2008 Issue of… THE WILLOWS MAGAZINE. Edited by Ben Thomas. Steampunk Subculture in both genre and fashion is on the rise! Historical Fiction and other weird tales with a Lovecraftian feel, too. Don’t miss a single issue! 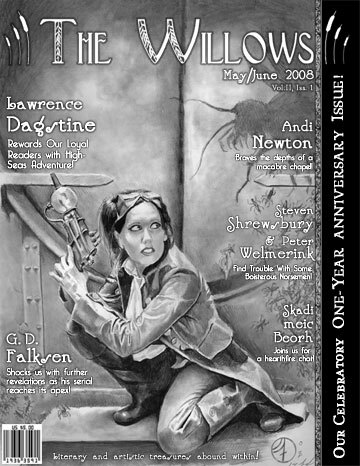 I was just informed that THE WILLOWS MAGAZINE, Issue #3, November 2007 is now available. I’m one of the Feature Authors this month, along with many others. 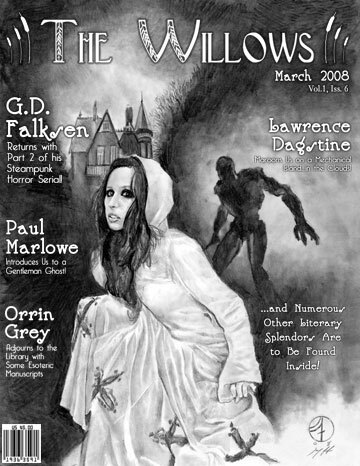 If you like Weird Tales, then The Willows will definitely be up your alley. I see I made front cover, too. Cool. With fiction by: Lawrence Dagstine, G.W. Thomas, Paul Marlowe, G.D.Falksen, and many others. Don’t miss out on this one. It’s only $5.00 per issue, and they sell out quick. 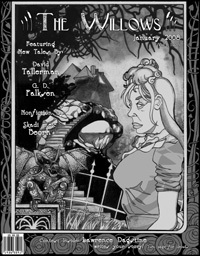 the traditional weird tale, in the classic style of Blackwood, Dunsany, Hodgson, Machen, Lovecraft, etc. Deleted Entries: “Mad Ramblings (no time; blog updated roughly 10 to 15 times per month)”. And now, direct from the DAGSTINE LAND archives… A Blast from the Past…! 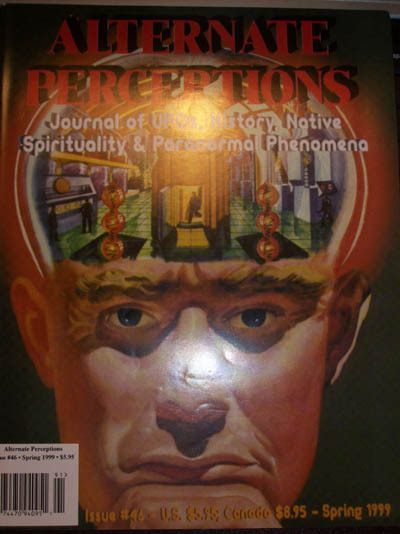 November’s Blast from the Past brings us a MAJOR non-fiction UFO/Paranormal magazine from the 1990’s, which was available on Newsstands and in Borders. Back in the spring of 1999 I put my journalism skills to good use and nabbed my first two-page spread, and my first non-fiction/freelance writing credit. Hard to believe that was over eight years ago. I even had my picture between the pages with a theoretical article on a religious subject we know very little about: Angelic and Human association. I just had a story accepted here, a horror print magazine called Horror Carousel. I’ll be in Issue #6 sometime in the Fall. Horror Carousel has featured such authors as Susan M. Sailors, Tim Curran, Ken Goldman, Eric S. Brown, Kevin L. Donihe, Jason Sizemore, Cody Goodfellow, Weston Ochse, Darrell Schweitzer, Tom Moran, Cathy Buburuz, Lee Clark Zumpe, Mark Justice, and Aurelio Rico Lopez. Edited: This publication has now since gone defunct. Sorry.